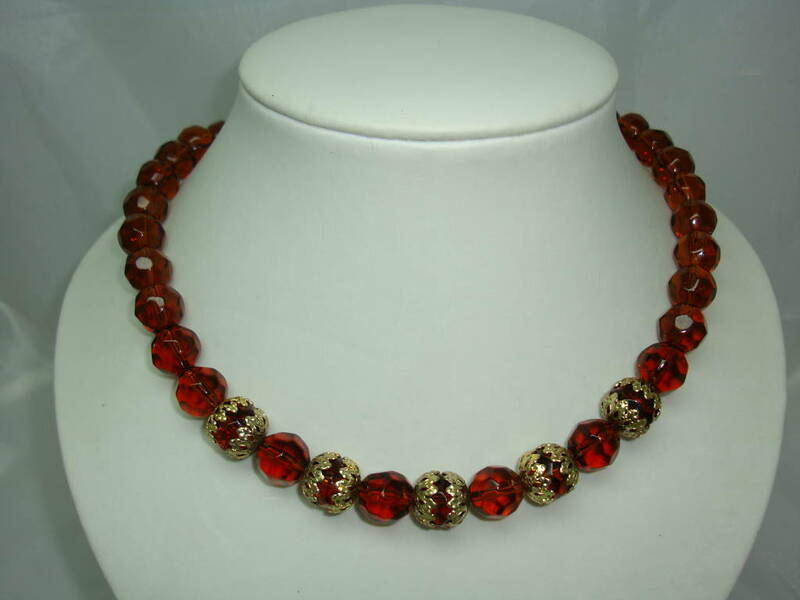 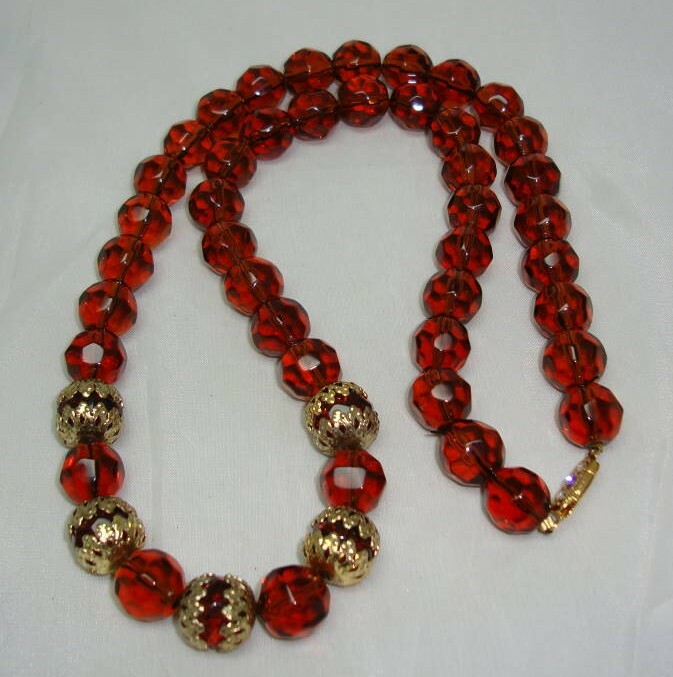 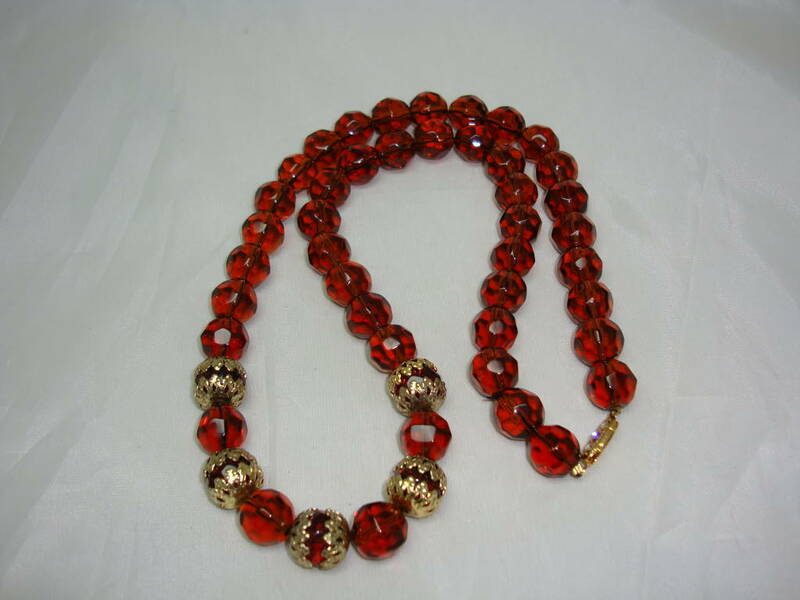 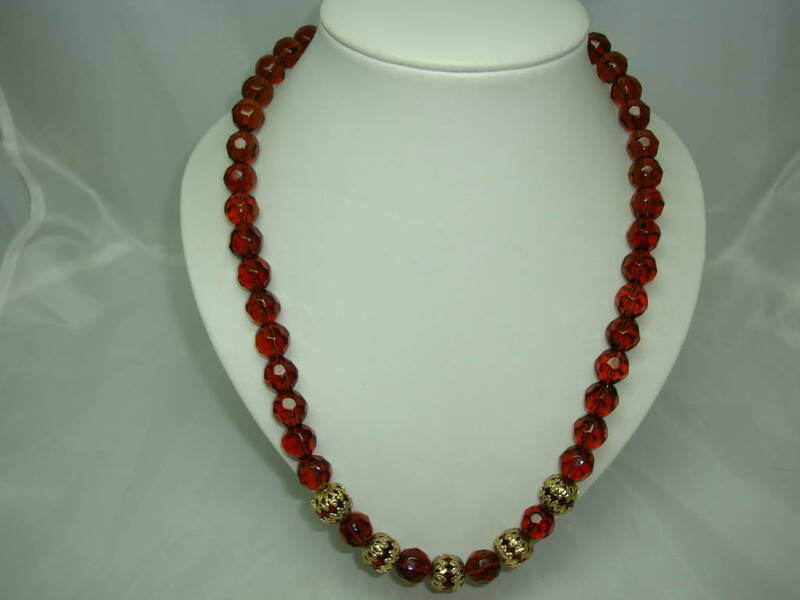 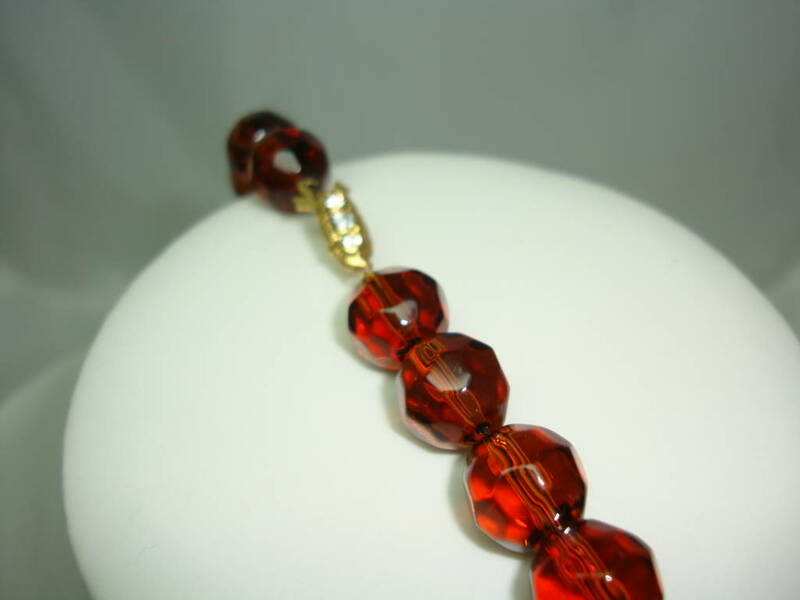 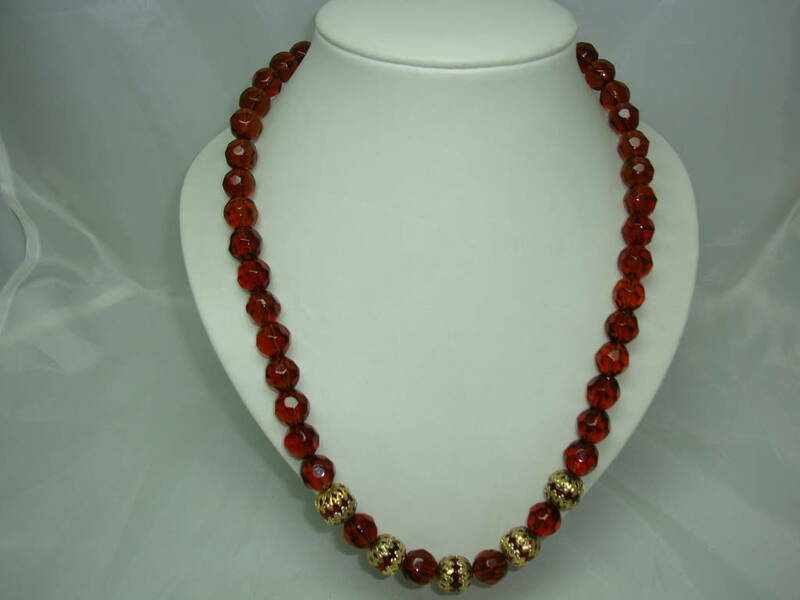 We are pleased to offer this fabulous vintage 1950s quality amber coloured long faceted glass bead necklace which is just fab. 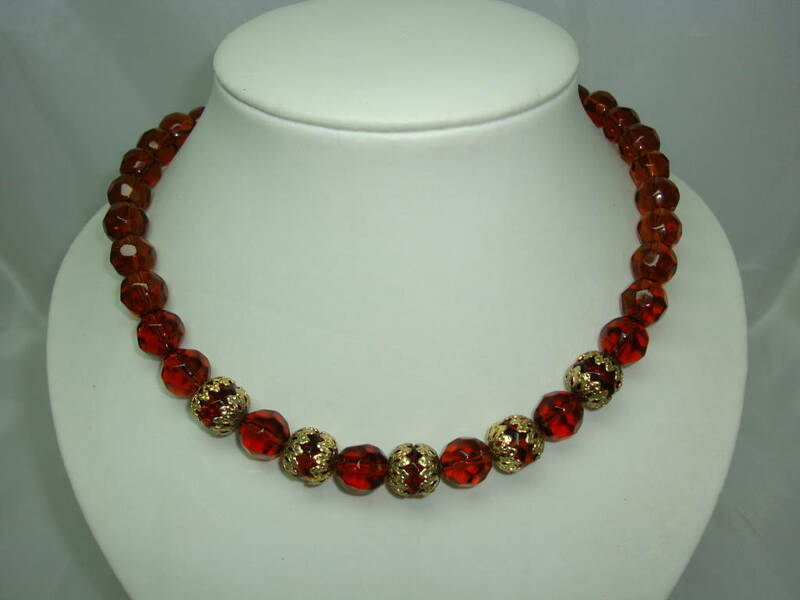 As you can see from the photos, the necklace is in excellent condition and looks fabulous on. 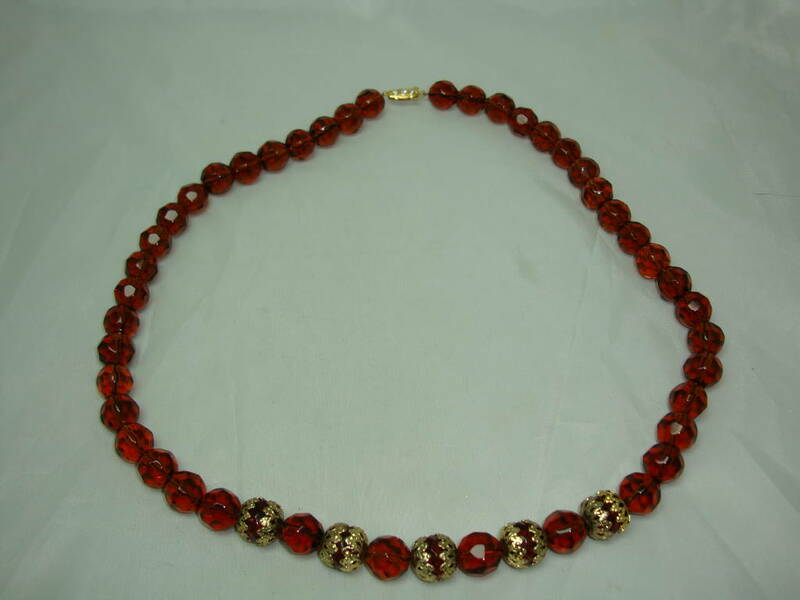 The necklace comes with a goldtone clasp decorated with sparkling diamantes and five of the beads on the bottom of the necklace are decorated with goldtone filigree ends, this is a weighty, quality vintage necklace, looks really stunning on.